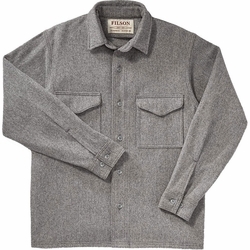 Filson Jac-Shirt. Filson's warm Jac-Shirt is made of 100% virgin wool for natural protection from rain, wind and cold. It's cut roomy for comfortable layering. Hidden pocket buttons keep this jacket from snagging on equipment.